A licensed, 30-bed treatment facility offering primary, extended and half-way house for chemically dependent women. 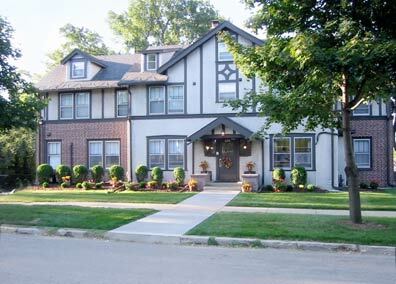 The Gables is located near downtown Rochester in Southeast Minnesota. A residential treatment facility dedicated to women 18 years of age and above, supporting their journey through recovery from chemical dependency/addiction. The Gables offers comprehensive and specialized treatment programs in a caring and nurturing environment. Our goal is to nurture and treat the whole woman: body, mind and spirit. The mission of the Gables is to serve women with addictions in a respectful and dignified manner in the setting of a home environment that provides safety, recovery counseling, and medical/health and nutritional care. The method of the recovery counseling is based on the twelve step program. We are dedicated to women and their pursuit of recovery. We give support and assistance every step of the way. When I was in treatment, I thought I held all of the keys to a full recovery. The day I left, I realized I had just begun to grow and knew little of the healing potential within the recovery process. Every issue caused me turmoil, and old resentments, frustration, and self-pity threatened my recovery. I spent many anguished days searching for help. With my own struggle in mind, my heart was led to create the Gables, a secure environment in which to experience this awesome new process of growth. If you feel a need for more guided help in attaining hope and truly living a life of recovery, my staff and I would welcome you at the Gables.